In February 2016, NASA/JPL released these posters, depicting what future space tourism posters could look like. 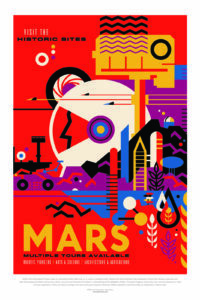 They are an amazing look at creativity, ingenuity and the future. Imagination is our window into the future. 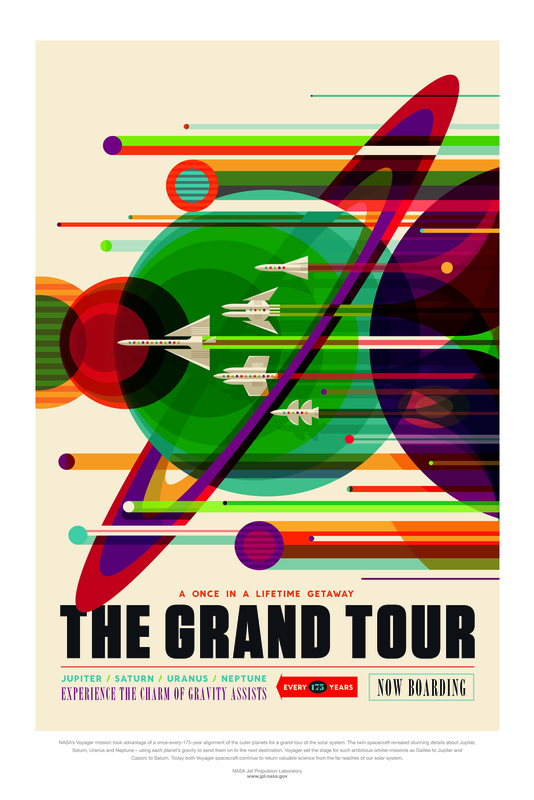 New travel posters from NASA’s Jet Propulsion Laboratory, Pasadena, California, envision a day when the creativity of scientists and engineers will allow us to do things we can only dream of now. 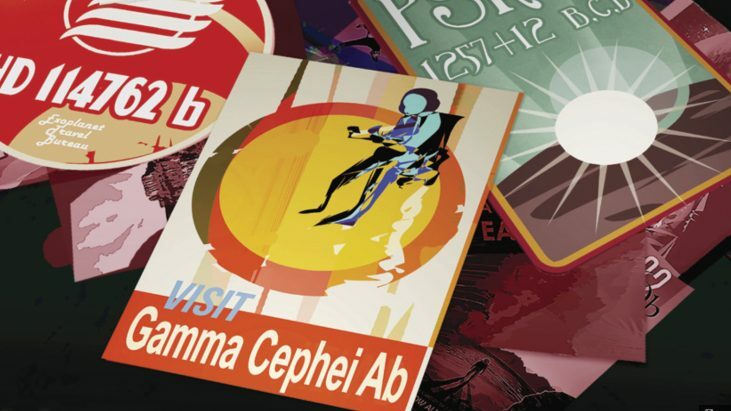 You can take a virtual trip to 14 alien worlds, and maybe even plaster your living room with planetary art, via the new, futuristic space tourism posters. 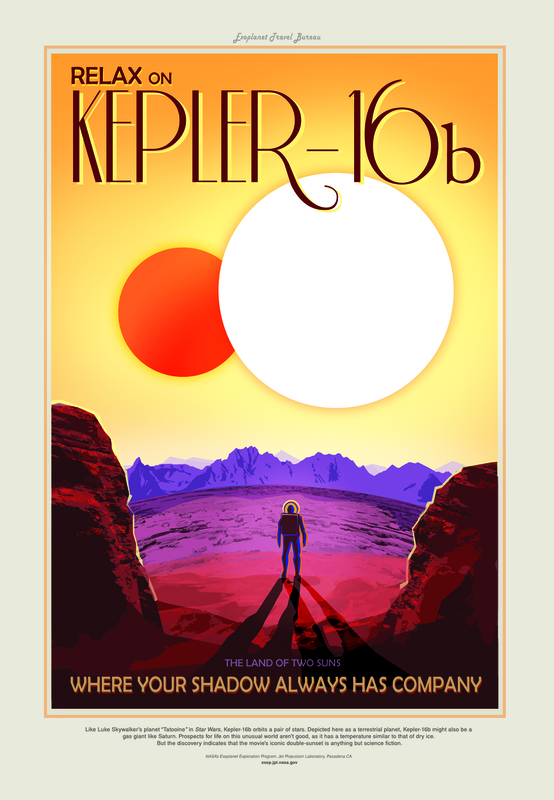 Last year, five posters depicting planets beyond our solar system were introduced as part of JPL’s Exoplanet Travel Bureau series. They are included in the latest set of 14 posters, which also show such locales as Mars, Jupiter’s moon Europa, Saturn’s vapor-spewing moon Enceladus, and the dwarf planet Ceres. 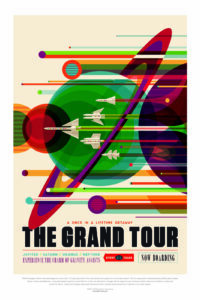 The posters are the brainchild of The Studio at JPL, a design and strategy team that works with JPL scientists and engineers to visualize and depict complex science and technology topics. 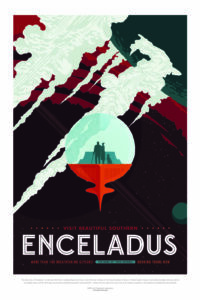 Their work is used in designing space missions and in sharing the work of NASA/JPL with the public. Ceres is the closest dwarf planet to the Sun. It is the largest object in the main asteroid belt between Mars and Jupiter, with an equatorial diameter of about 965 kilometers. 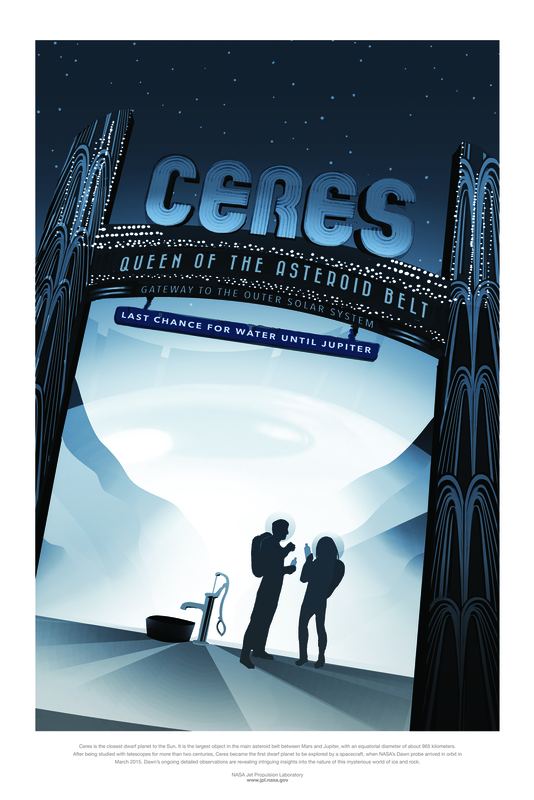 After being studied with telescopes for more than two centuries, Ceres became the first dwarf planet to be explored by a spacecraft, when NASA’s Dawn probe arrived in orbit in March 2015. Dawn’s ongoing detailed observations are revealing intriguing insights into the nature of this mysterious world of ice and rock. 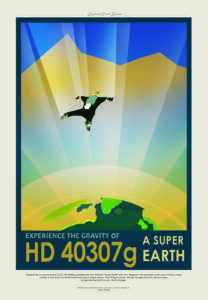 Twice as big in volume as the Earth, HD 40307g straddles the line between “Super-Earth” and “mini-Neptune” and scientists aren’t sure if it has a rocky surface or one that’s buried beneath thick layers of gas and ice. 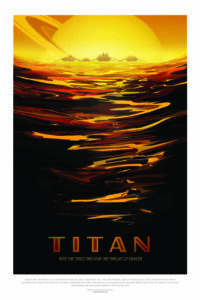 One thing is certain though: at eight time the Earth’s mass, its gravitational pull is much, much stronger. 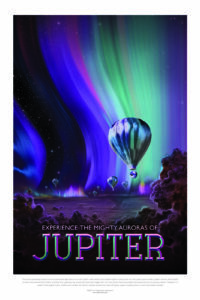 The Jovian cloudscape boasts the most spectacular light show in the solar system, with northern and southern lights to dazzle even the most jaded space traveler. Jupiter’s auroras are hundreds of times more powerful than Earth’s, and they form a glowing ring around each pole that’s bigger than our home planet. Revolving outside this auroral oval are the glowing, electric “footprints” of Jupiter’s three largest moons. 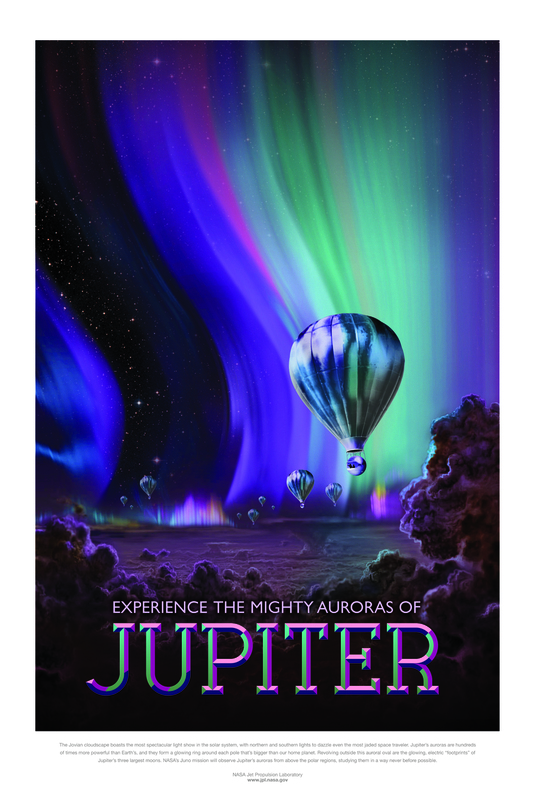 NASA’s Juno mission will observe Jupiter’s auroras from above the polar regions, studying them in a way never before possible. Kepler-186f is the first Earth-size planet discovered in the potentially ‘habitable zone’ around another star, where liquid water could exist on the planet’s surface. Its star is much cooler and redder than our Sun. 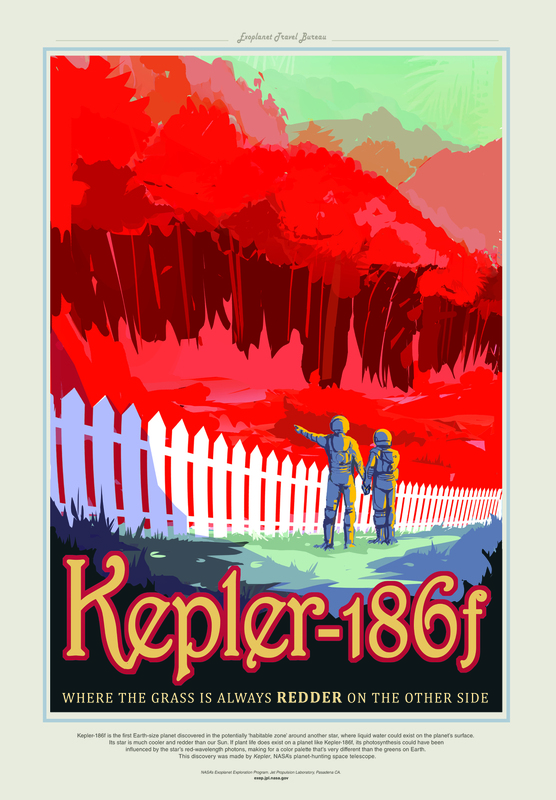 If plant life does exist on a planet like Kepler-186f, its photosynthesis could have been influenced by the star’s red-wavelength photons, making for a color palette that’s very different than the greens on Earth. 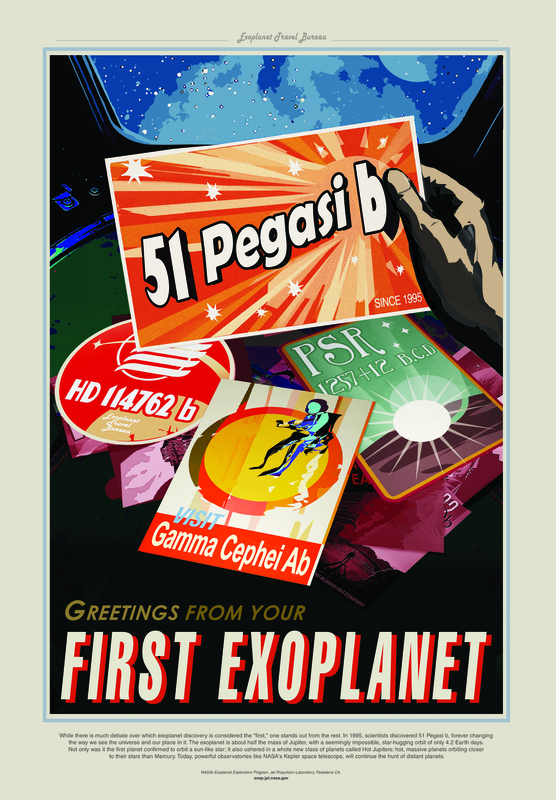 This discovery was made by Kepler, NASA’s planet hunting telescope. 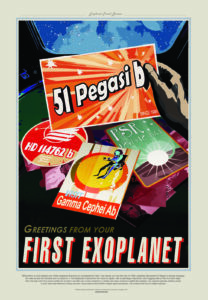 The posters began as a series about exoplanets — planets orbiting other stars — to celebrate NASA’s study of them. 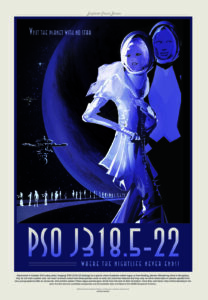 (The NASA program that focuses on finding and studying exoplanets is managed by JPL.) Later, the director of JPL was on vacation at the Grand Canyon with his wife, and they saw a similarly styled poster that reminded them of the exoplanet posters. They suggested it might be wonderful to give a similar treatment to the amazing destinations in our solar system that JPL is currently exploring as part of NASA. And they were right! 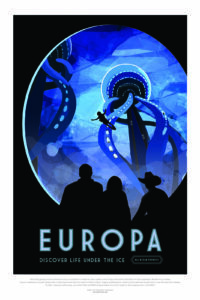 As for the style, we gravitated to the style of the old posters the WPA created for the national parks. There’s a nostalgia for that era that just feels good. 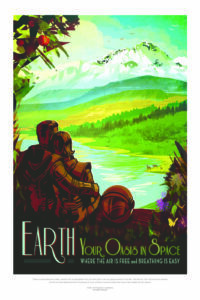 The old WPA posters did a really great job delivering a feeling about a far-off destination. They were created at a time when color photography was not very advanced, in order to capture the beauty of the national parks from a human perspective. These posters show places in our solar system (and beyond) that likewise haven’t been photographed on a human scale yet — or in the case of the exoplanets might never be, at least not for a long time. It seemed a perfect way to help people imagine these strange, new worlds. We worked hard to get the typography right, since that was a very distinctive element in creating the character of those old posters. We wanted to create a retro-future feel, so we didn’t adhere exactly to the period styles, but they definitely informed the design. 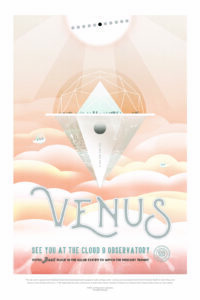 The Venus poster has a very curvy, flowy font, for example, to evoke a sense of the clouds.